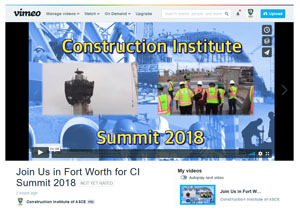 CI SUMMIT 2018 IS RIGHT AROUND THE CORNER! This March 1 - 3, head to Fort Worth, Texas and participate in thought provoking plenary sessions and a relevant and timely technical program specializing in new developments and innovative practices in the construction industry. We sat down with some of our Texas members to talk about what to expect at CI Summit 2018. Plus, an entire track of sessions on Legal Affairs and Dispute Resolution! View the summit technical program for full details on sessions. Advanced Registration for this exciting three-day conference ends on Thursday, February 8. 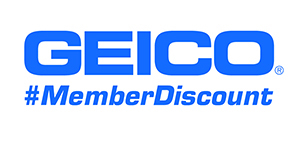 Take advantage of your last opportunity for big registration savings. Have you made all of your arrangements? While preparing for your summit experience, don't forget to make your housing reservations at the Hilton Fort Worth, the official headquarters hotel. ASCE/CI has secured room rates of $170 per night, but you must act fast. These rates will only be available until Monday, February 5th or until the room block sells out. Already reserved your room? Don't forget to register! Secure your sponsorship now to ensure maximum exposure.